We’ve strapped into our own personal Image Transfer Device (Computer Bed) and have converted our human minds into raw binary data in order to travel through the internet and into your ears. 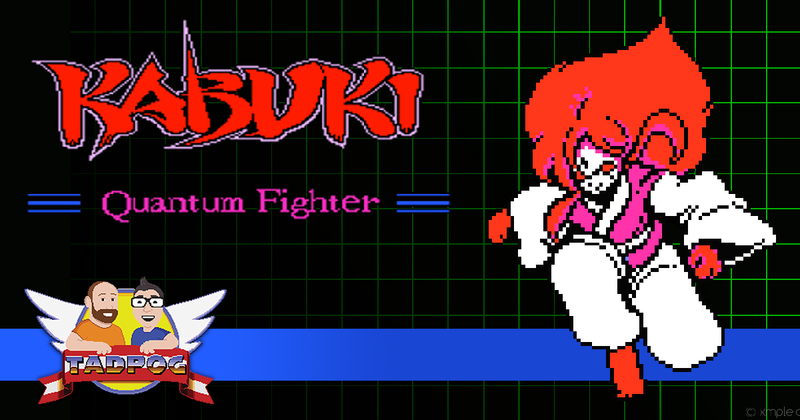 Yes, that can only mean one thing…we’re talking about Kabuki Quantum Fighter, the 1991 action platformer for the NES! Kabuki Quantum Fighter was published by the American arm of HAL Laboratory, who has published a whole bunch of games that we’ve talked about on this show: Kirby’s Adventure, Joust for the NES, EarthBound, Kirby Super Star, Kirby’s Avalanche, Kirby’s Dream Course, Kirby’s Dream Land 3, Kirby 64: The Crystal Shards, Pokémon Snap, Pokémon Stadium, and Super Smash Bros.
Ted Cruz for Human President! Seriously, Boruto is really good. The Highlander episode that also asks the real questions. Marty Crane, one of the best characters there has ever been.